Club News originated as a section of The Correspondent magazine. Its goal was, and still is, to keep all members across what’s happening in the social life of the FCC. Here, you will find updates on members’ milestones, Club outings or coverage of the latest FCC party. 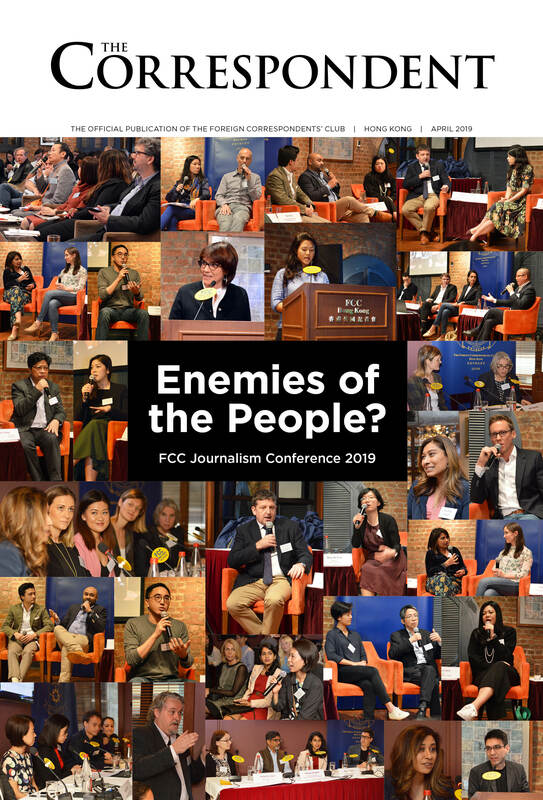 If you have any contributions: please send your ideas to editor@fcchk.org. Legendary Hong Kong cartoonist Harry Harrison’s take on the city’s current affairs. 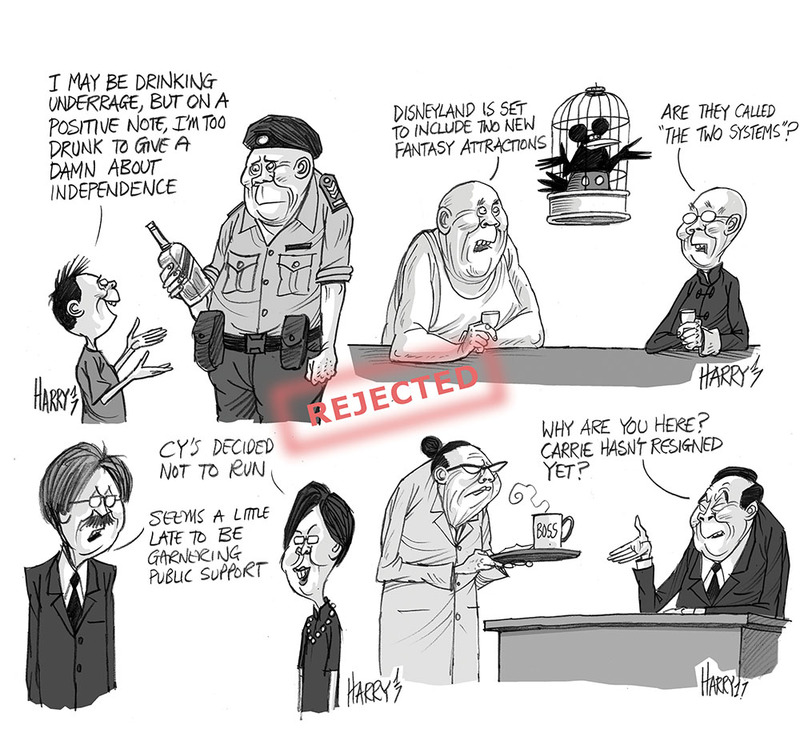 Cartoonist Harry Harrison turns his attention to Hong Kong Justice Secretary Teresa Cheng and those illegal structures. Harry Harrison’s take on the young activists’ jail sentences and President Xi Jinping’s three-hour speech. 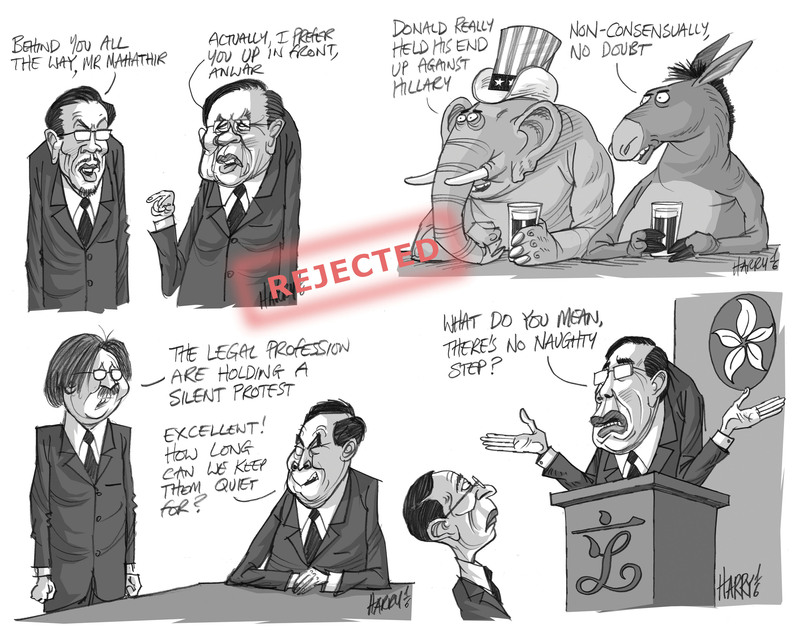 Cartoonist Harry Harrison is right on the button with his take on Taiwan’s new gay marriage legislation; terror attacks in Tehran; and Carrie Lam’s first month in office. Harry Harrison’s take on new Hong Kong Chief Executive, Carrie Lam. Ahead of Sunday’s election, here’s Harry Harrison’s take on proceedings. Cartoonist Harry Harrison on the 2017 Hong Kong chief executive election.